The second week of September the Take A Stitch Tuesday used the Pistil Stitch for week 37. 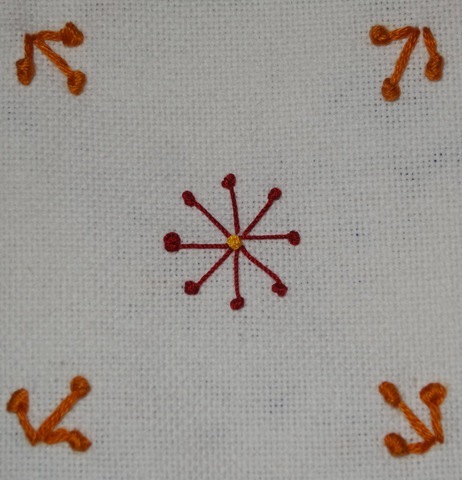 This is a French Knot stitch with a tail. It is an interesting stitch. As we are vacationing I kept my sample simple. 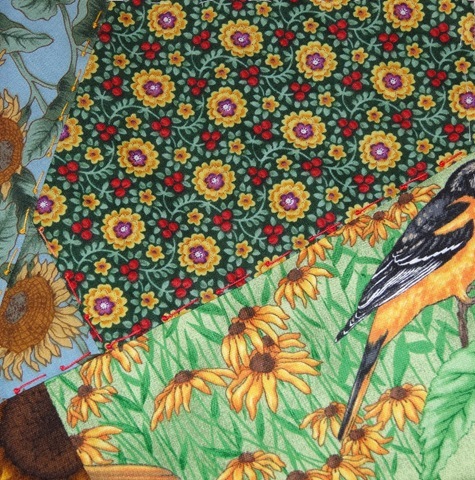 Once again I had time only to do the simplest Pistil Stitch on the second quarter of my September Crazy Quilt Journal Project block. Perhaps I will add more to it later. The stitch doesn’t show up very well. I used Lizbeth thread on it. 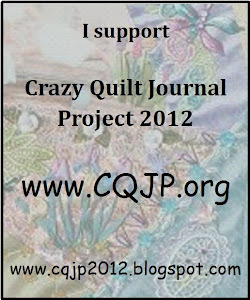 This entry was posted in CQJP, Pistil Stitch, September, TAST. Bookmark the permalink.